A staple of the Richmond County printing industry is set to close March 31 after more than 36 years in business. 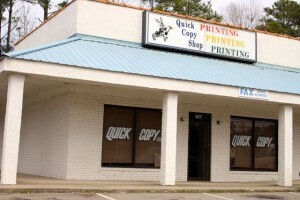 John Grubb confirmed Wednesday to The Pee Dee Post that the two full-time employees at Quick Copy / Print Shop were told on Tuesday of the decision to close. Grubb is managing partner with the Salisbury-based company and said the two workers would not be reassigned within the company. 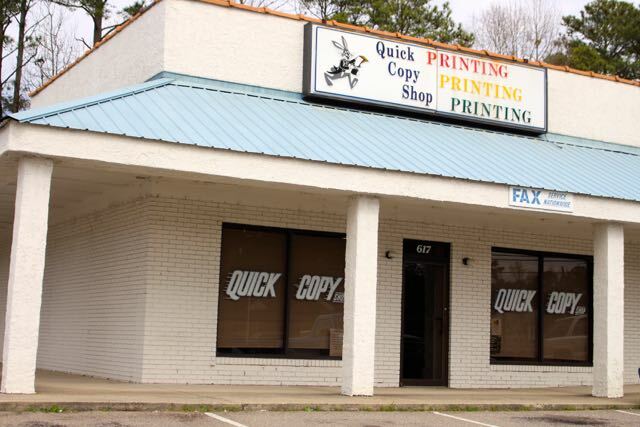 Quick Copy / Print Shop will close its Rockingham location on March 31. Grubb said the company would try to help the employees, who have a combined seven years’ of experience with the company, transition to whatever comes next for them. The Rockingham storefront is located at 617 E. Broad Ave. There are certain aspects of the printing business, such as printing blueprints, that Quick Copy is uniquely able to serve in Richmond County. Grubb said he plans to retain as much of the business as he can by transferring the print and copy projects to Salisbury. The projects could then be shipped via UPS or, Grubb said, delivered by van once a week. Business has struggled for some time, Grubb said. When he joined the company 11 years ago, the Rockingham location boasted a staff of five workers. Efforts were made to keep prices low and volume high, and some projects were printed in Salisbury and returned to Rockingham. That didn’t please everyone. But customers’ loyalty to a locally owned business goes only so far. Many customers, Grubb said, seek the best deals through online vendors — which is good for the customer but bad for the local economy. Quick Copy / Print Shop began in Salisbury in 1973. That store, Grubb said, will remain open and fully operational. oh no! Where will I be able to get my copies? Can’t always get a 11 x 17″ copy just anywhere. They will surely be missed. I had copies printed there. As a former employee of Quick Copy, it’s sad to hear that they will be closing, but am thankful for the skills learned there. Quick Copy provided me with the knowledge I needed to start my own print business in Rockingham.